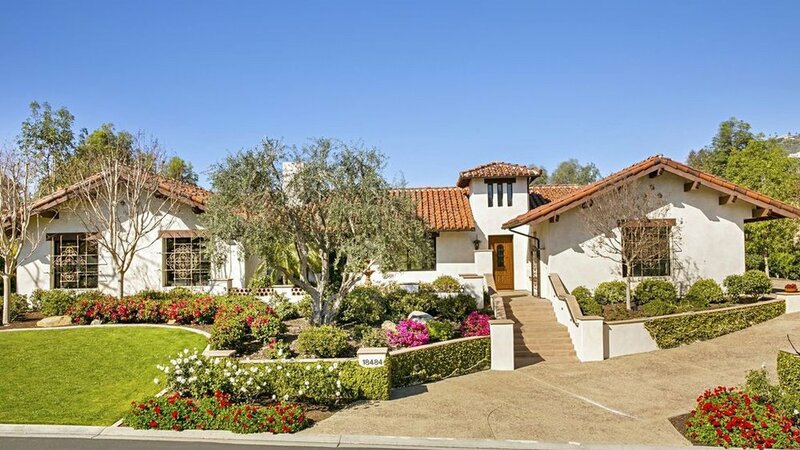 Located in the exclusive and historic community of Rancho Santa Fe, San Diego, this 6,200 square foot stunning 5 bedroom, 6 bath estate seamlessly blends classic Hacienda esthetic with modern California style. To capture this rich architectural heritage, R&R collaborated from the ground up with both developer and architect. The result of this partnership is a beautiful estate that takes full advantage of San Diego world-famous year round climate. Rugged natural materials with rich colors where used to form a modern yet authentic expression of Hacienda style. 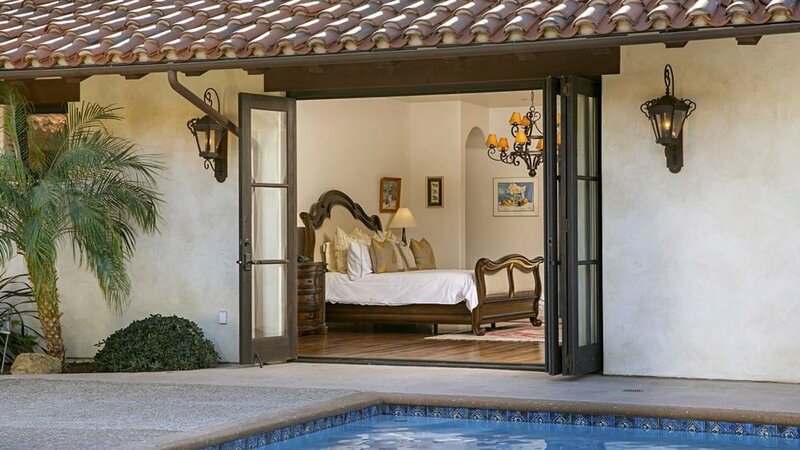 The classic courtyard layout blurs the lines between indoor/outdoor living as one can stroll seamlessly through gorgeous arched doorways in to the poolside courtyard. R&R sourced and furnished each room from vendors that specialize in old-world Spanish Mexican products. From Colonial Spanish iron-rod chandeliers to custom-fabricated cabinetry made in Mexico, no detail was overlooked in this project. Exposed beams graciously accent the vaulted ceiling to add depth and balance to the entire estate.